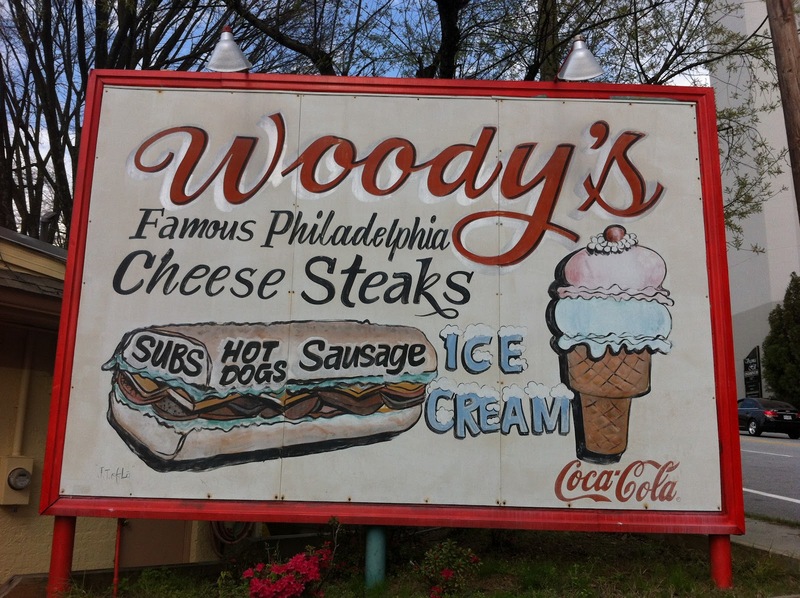 So for about the last four or five years, I’ve driven by this giant sign for Woody’s Famous Philadelphia Cheesesteaks on Monroe Drive and told myself, “Self, you’ve got to get one of those cheesesteaks.” But every time that I drove by there (mostly on Thursdays, mostly between 7:00 and 8:00 pm), it was closed. The more times that I couldn’t have this sandwich, the better I imagined that it would be. 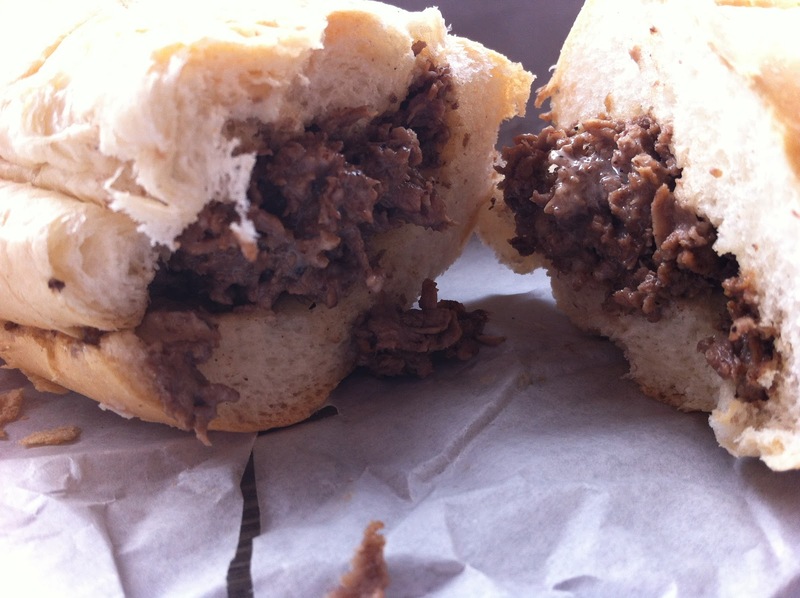 So after hundreds of weeks, this cheesesteak had grown into a thing of culinary wonder. And then, the magic day finally dawned. I had been to the old time jam at Manuel’s and was heading bank towards the Druid Hills area and I saw Woody’s looming through the windshield – and the open sign was lit. [Trumpets blare.] I tried three of their mini-parking lots before I finally found a space, but eventually saw one behind the giant sign. I decided on a simple cheesesteak, no onions. 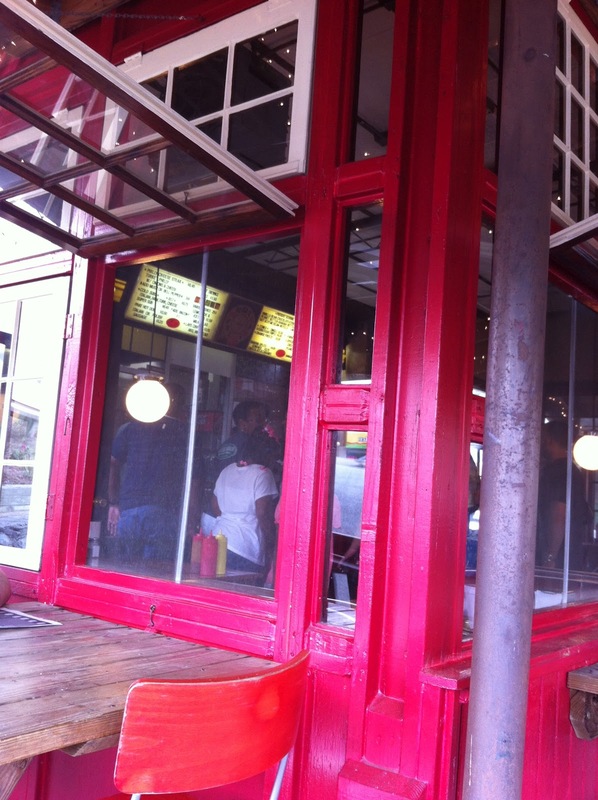 Gave the young man my name, found a seat on the wrap-around porch and waited. About ten minutes later I heard him call my name and went and grabbed my sandwich, wrapped in white butcher paper. I’d been waiting five years to unwrap this sandwich, so I did so with great expectation. I guess good things don’t always come to those who wait….